For The Love Of Animals! I’m asked on a regular basis why I have some sort of animal in every one of my books. It is simple…I love animals and I love writing about them. It doesn’t matter what kind, shape, or size. I love them all! Throughout my life I’ve had dogs, birds, frogs, lizards, rabbits and of course precious cats. My husband and I have a dozen bird feeders, two water fountains and multiple yard-art fixtures that we put food and water in for the critters. Several years ago our cat of fifteen years passed away and we were going to wait awhile before getting another one but as the days went on we missed having a cat. It was during the winter so there weren’t any kittens available. I searched all the shelters and saw pictures of an eight-month-old female, shorthair cat. When we picked up Ardy from the Bremerton, WA PAWS, they said we’d never be able to pick her up or touch her. She’d been abused. My husband played with her and instantly fell in love. We took her home and after many months of special care, she loves to be held. We laugh because she likes it so much she won’t let you put her down. All animals deserve a little time, patience and a good loving home. Sharon Kleve’s latest release, Love Found Me, is a romatic tale of animla lovers, not looking for love, but finding it anyways. 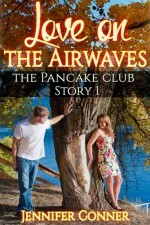 When it’s Chloe Miles turn to pick a name out of The Love List she didn’t expect to find true love. She just wanted to go on a date with a nice, available guy. Not one who drank too much, or was unemployed and wanted to stay that way. Or especially one who didn’t know what monogamy means. Mitch Brodin didn’t know his heart was in the hands of The Love List. His Fate was set the moment he set foot into Roy’s Pet Rescues looking for advice on how to care for new born kittens. Chloe is vivacious, unpredictable, and tons of fun, while he is methodical, predictable, and well… cynical. He surely hadn’t planned on falling in love. But that’s what you get when you’re not looking for love. When people think of Washington State, they think of Seattle. The metropolis city that keeps getting bigger and bigger every day. But, just a hundred miles East and over the mountain pass there is desert, cowboys, and small towns with the population of a few hundred (if that). 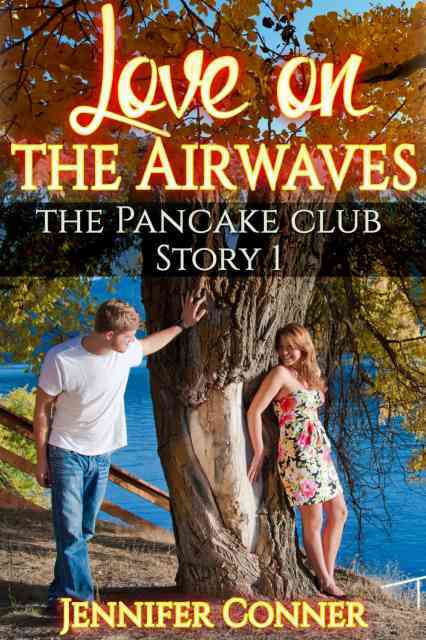 When I had the idea for my new series, The Pancake Club, I knew I wanted to place it in one of these small towns. It’s about four single friends who meet at the Memories Diner for breakfast a few times a week. 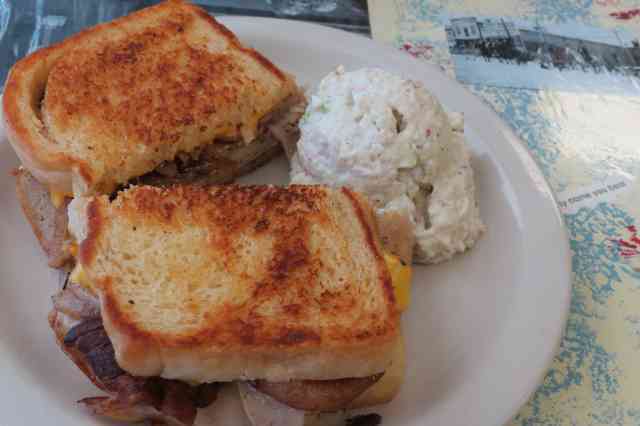 The fun thing is that the Memories Diner really does exist in Ritzville, Washington. 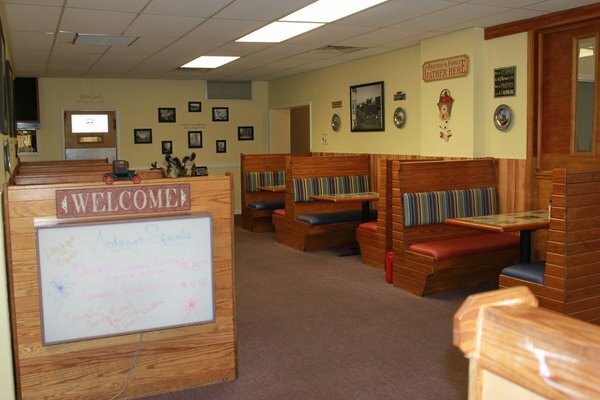 It’s an adorable home cooked meal restaurant with tons of small town charm. 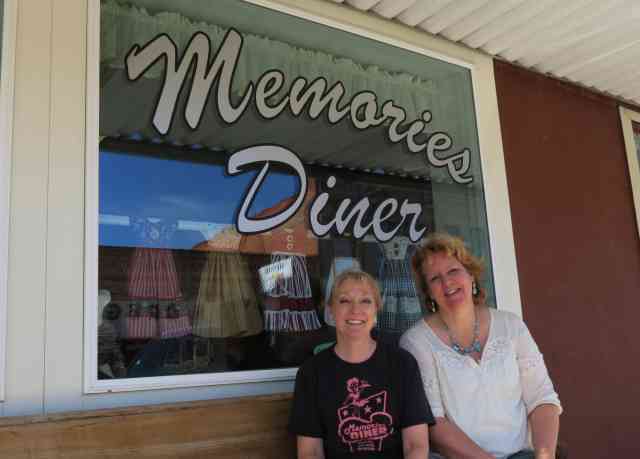 I got to talk with Lori Gorman who is one of the charming owners and tickled pink to have our book series set in her diner. of Mercy Ridge to work at the local radio station. But, she doesn’t have many choices. Police Officer, Dolan Nash, wants to feel something other than the pain and death that’s surrounded him the past few years. If he keeps his head down and focuses on the peaceful quiet of the small town, the memories will stay quiet as well. Sometimes we keep secrets inside. It’s easier than bringing out the darkness of our pasts. Will Mercy Ridge be the place where Dolan and Tessa find peace… and possibly love? Jennifer Conner is a best-selling Northwest author who has forty short stories and books in print. She writes in Christmas Romance, Contemporary Romance, Paranormal Romance, Historical Romance, and Erotica. She lives in a hundred year old house that she grew up in. Her semi-small town holds an interesting mix of resident hillbillies, yuppies and Navy Seals. And of course Seattle, only a few miles away, is the birthplace of Starbucks so coffee is always on the check list. She blows glass beads with a blow torch, (which relieves a lot of stress and people don’t bother you) and is a huge fan of musicals. Books to Go Now’s Mission: Support our Authors. Promote their Works. Help them to Achieve Success. Our staff works one-on-one with our authors to help them to create wonderful works of fiction. Upon publication we use a successful multi-platform strategy to promote and market their work. Our staff has helped many authors become International and Domestic Bestsellers. Books to Go Now offers professional editing, cover design, multiple book format file creation, and most important—publicity. Our staff works to help make our author books a success one book at a time. Does it need any preface or closure? My first step is the idea. In Worth It, that was simply “girl and guy with big age difference.” The main characters come next, and a general direction for the story with the desired ending. Then I add secondary characters and plot, and start writing the scenes. Once I get to the end, I rewrite a couple of times, and then edit. My favorite method is to write the first draft during National Novel Writing Month in November, because it gives me such a boost to get it done so quickly and because it’s so fun to spend a month with other writers pounding away at the keyboard! The rest of the process is fun, too, though. After writing a good scene, I always feel energetic and happy. When I set out to write a story or a novel, the first step for me is the idea. In Worth It, that was simply “girl and guy with big age difference.” I’ve always heard that you should write what you know, so I tend to develop the idea in a location I’m familiar with, and with jobs that I’ve had or that a friend has. The main characters come next, and a general direction for the story with the desired ending. Occasionally I’m not sure of the ending until I get a little ways into the story, but it works best if I know where I’m going before I start trying to get there. After that, I add secondary characters, plot, and subplot, and then it’s time to start writing the scenes. My favorite method is to write the first draft during National Novel Writing Month in November, because it gives me such a boost to get it done so quickly and because it’s so fun to spend a month with other writers pounding away at the keyboard! After writing a good scene, I always feel energetic and happy. Once I get to the end, I rewrite a time or two, and then edit. Sometimes during the rewrite I make some major changes that I didn’t think of until halfway through the first draft, and sometimes the second draft is just an edited first draft, depending on how well I planned it out before I started writing. I enjoy the editing process, but it’s always difficult to stop, and even after a story is done I tend to think of things to change several days later when it’s too late. A story is never really done, though. You just have to stop at some point and step away.